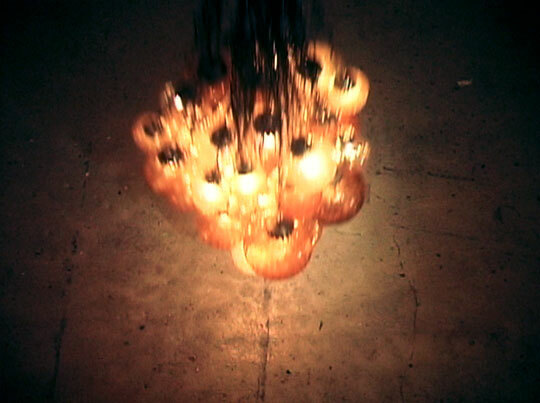 I conceived HEAVY/light as a narrative in three spaces: the entry, the passage, and the chandelier crash space. 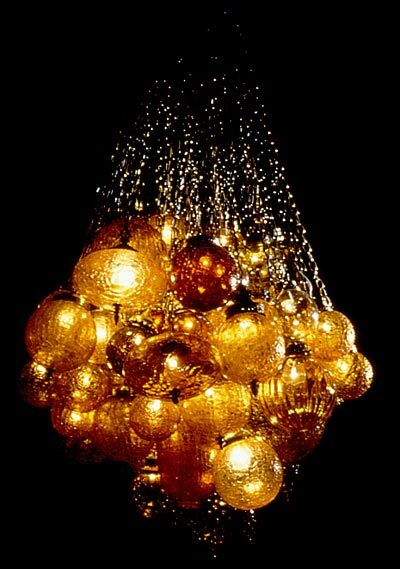 Very generally, I created these spaces to evoke physical feelings of ambivalence, and disorientation, and to resolve the tension with the cathartic shattering of the chandelier. 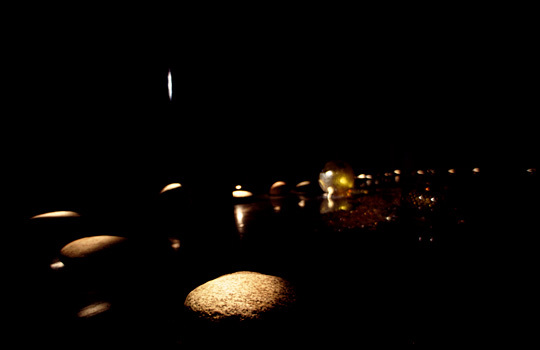 HEAVY/light was installed at the Fisher Gallery and Video Annex in Seattle. 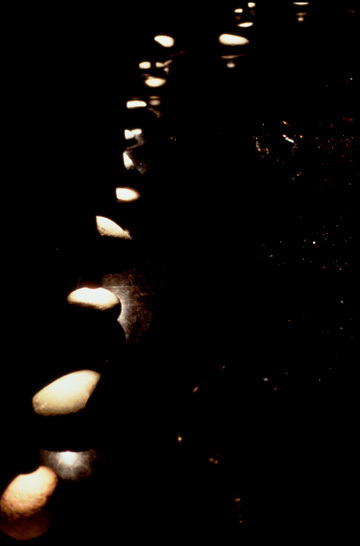 A path of river rocks created a passage around the perimeter of the gallery. 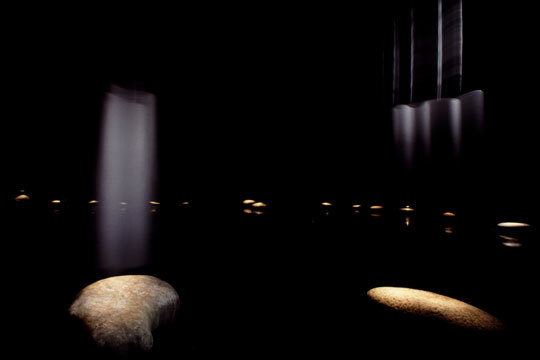 They were illuminated by low, motorized, pendulum lights swaying above them. 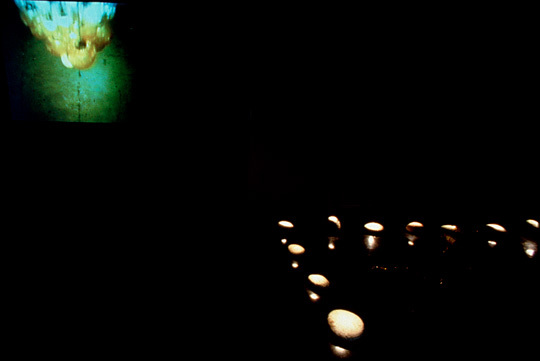 Within the perimeter of rocks was strewn debris from the chandelier which crashed in the projected video loop. 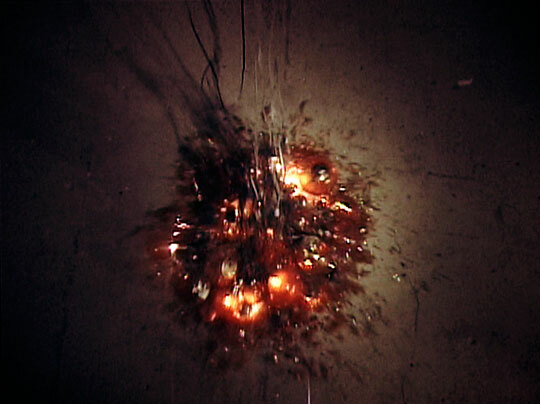 A projected video loop showed a giant chandelier repeatedly crashing to the ground, the sound of which filled the space. 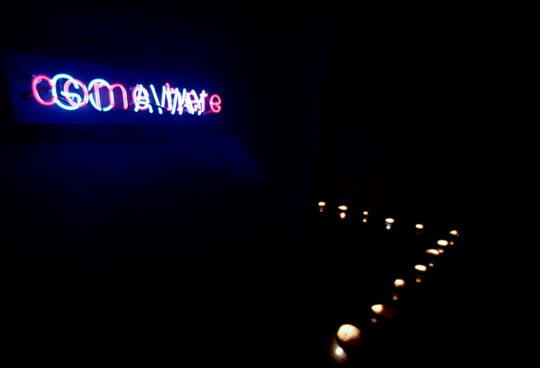 A neon sign at the entrance alternated messages: come here / GO AWAY. 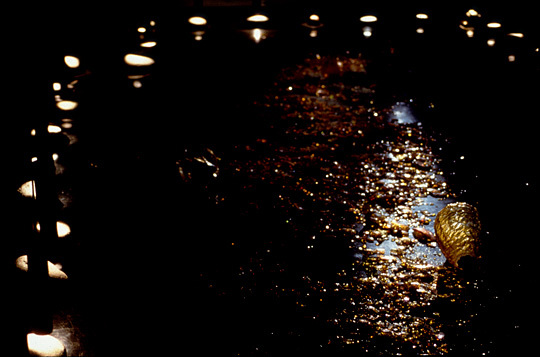 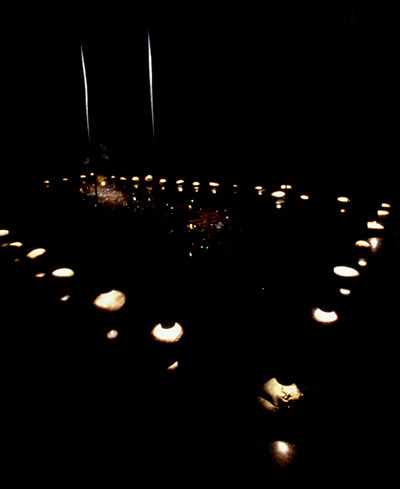 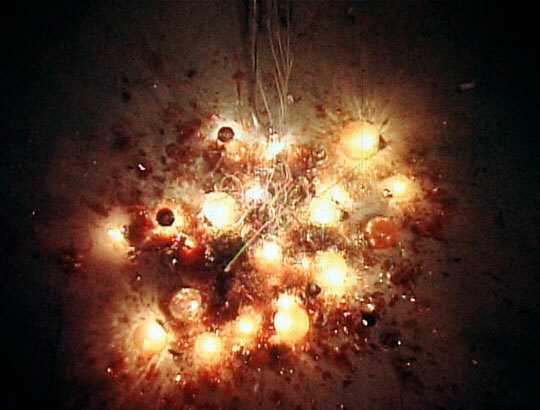 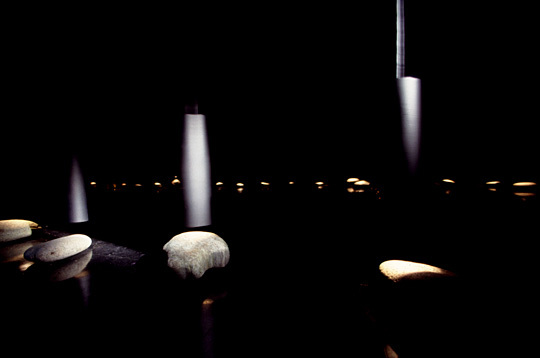 The crashed chandelier in the video was similar to the Chandelier (2005) permanently installed at the Northwest Film Forum.